When I glance at arms and hands, I see many such 'classics': the rolling ring (Cartier or a copy), the diamond (or cz) tennis bracelet, the Van Cleef (or not) Alhambra clovers, and enough Pandora bracelets to circle the world. 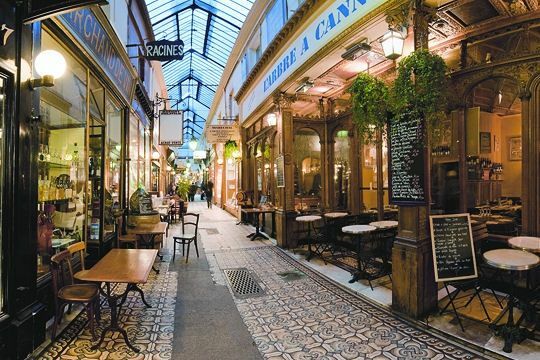 Pandora or similar charm bracelets are busy pieces, so I would tweak them with clean, geometric design, and if it wouldn't break hearts, swap out the more jeune-fille charms like the little girl or teddy bear. The trick is avoiding more filigree and ornamentation, but also steering clear of too-stark design that results in a clash. Look for just enough detail. 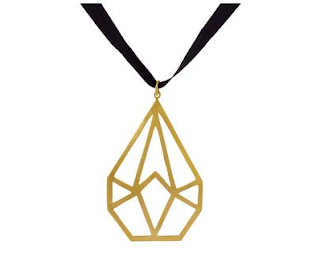 Budget zhuzh: Jane Diaz' "diamond" pendant; gold-plated brass on a black silk cord. Price, $88. 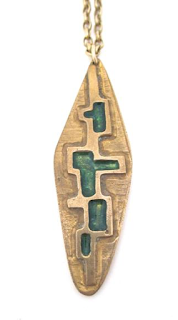 A Modernist Bernard Chaudron bronze and enamel pendant has the fluidity and texture for the nuggety charms, and you are not going to find this in a mall window! Price, $CDN 130 from Samantha Howard. 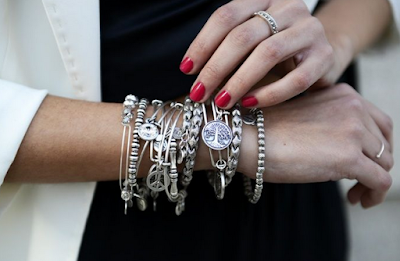 Many women's arms tell stories of milestones and memories via their bangles. 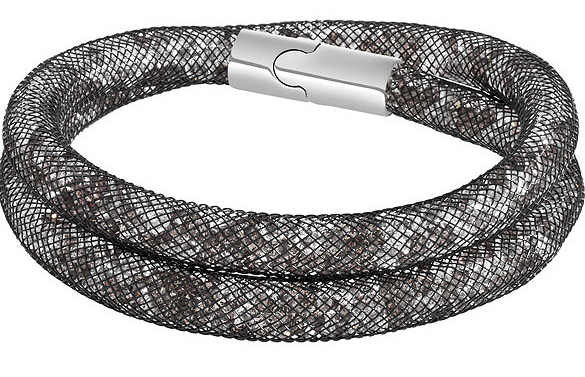 Above, the ring shown on the bangle hand gets lost; I would replace it with a bold stone of texture and depth. 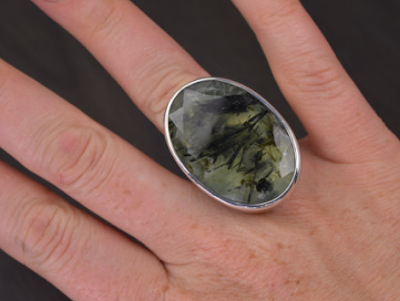 A 46-carat ring of green pryhenite stands up to the stack. This example is from EdwardOwl; price, about $290. For those who thrilled by colour, Murano glass rings are marvelous buys. 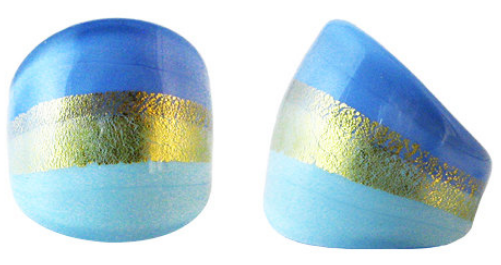 I especially like this sleek slice of blues with gold leaf—and the price: about $35! From MysteryofVenice. At least twice a week I see a woman in a rolling ring, and always admire it. Though modern, its design contrasts wonderfully with Victorian or Edwardian pieces, and the juxtaposition warms up the design's iconic cool. I'd wear it with a Late Victorian (ca. 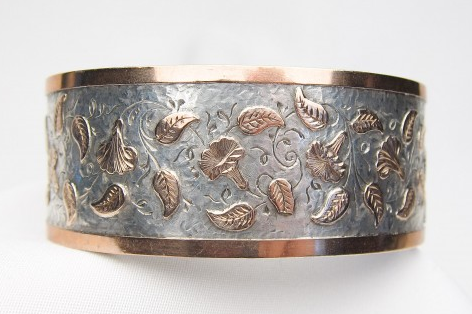 1880) silver and rose gold bracelet; price $1, 200 from Isadoras Antique Jewelry. Another way to wear a classic modern ring: add unusual Edwardian earrings, but that might be a bigger spend. 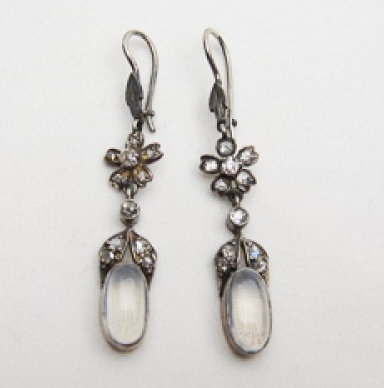 Warned you, now here they are: moonstones and diamonds set in silver and gold; price, $2, 775. The tennis or line bracelet of diamonds or simulants has not flagged since Chris Evert was Chrissie. But on a grown woman, they look more modern combined with a second, less generic bracelet. A woman in my building pairs a formidable one with Swarovski's Stardust double bracelet; price, $79. I like the edge of hers in grey, but it also comes in eighteen colours! When I think of taking on Yurman-type cable bracelets, floating heart pendants, or 1980s gold 'power' necklaces, my wrists go weak. They had their moment, but, like '70s padded-shoulder jackets, there is no plausible companion piece that extends their lifespan. Perhaps they could be worn ironically by a girl with very short bangs and a leather kilt. If you have good materials, repurpose them in a new design. Reader Kirsten Giving recently showed me a graceful piece made by Montréal jeweller Janis Kerman, using a client's material. 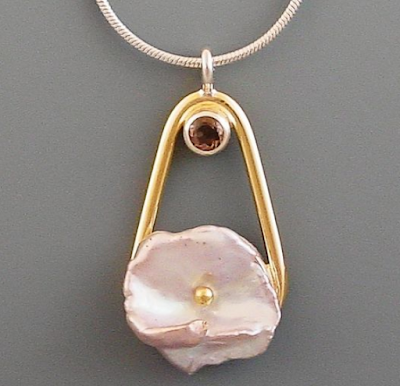 Ideal way to recycle gold, and neither the petal pearl nor the small smokey quartz round are costly. Made me wish I had something that's past its time. Sometimes you find the jeweler, than sift down to the bottom of your box for some unworn items! The pieces you discover and reveal are always so interesting. 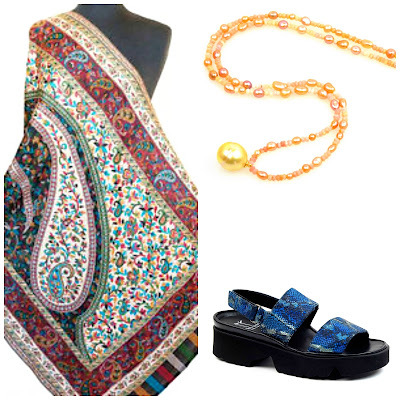 Great ideas for jazzing up a traditional look. Though sold now, the bronze and enamel pendant is right up my alley. 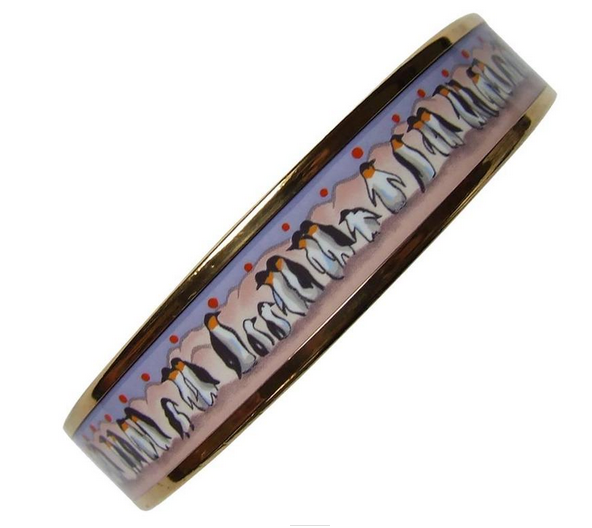 If I had a spare $450 laying around, that penguin Hermes bracelet would be on my wrist. I am comforted knowing that the size is too small for my large hand and wrist, but love the look. Happy US Thanksgiving, Duchesse. Another eye opener. Even though I don't own any of the classics you worked with, it's still instructive to follow your reasoning and see how your ideas could apply to other pieces. 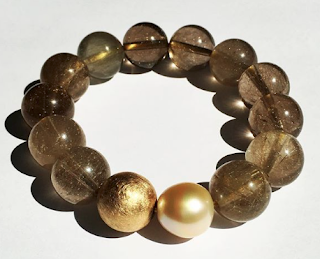 The silver and rose gold bracelet is just beautiful and I love the Murano ring and the Swarovski bracelet - affordable and right up my colour alley. So much to enjoy here, thank you. Leslie Milligan: I celebrate one Thanksgiving and since I live in Canada and it comes first, that's the one. But if someone were to invite me for a traditional dinner on the American one, I'd double dip! Samantha Howard is a terrific source for Scandinavian and other mid-century jewellery. LauraH: Jan Becker introduced me to Samantha Howard's site, and I spend far too much time there! 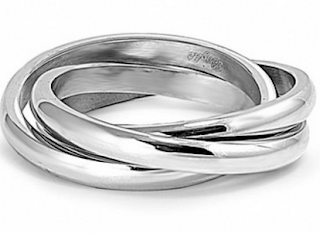 My wedding ring is a Cartier tri-band, and I often wear another ring on my index finger of the same hand (as well as 2 or three rings on my right hand!) - all of them are pearls and silver or black (heat-treated steel - who would have thought?) and they break up the classic vibe pretty well. An intelligent question, brilliantly answered. As usual!